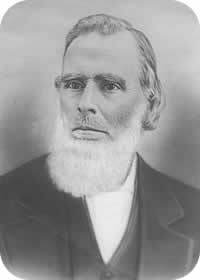 He and his family emigrated to Salt Lake in 1853. Crossed the plains in 1864 (age 13). Her brother is the famous millionaire, John Beck (Tintic Mines, Saratoga, Beck's Hot Springs, Beck Street). He joined the Church first, the rest of the family followed and immigrated the following year, settling in Lehi. Encountered a war ship at sea, ran short of food. 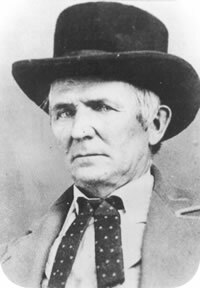 Led emigration from New York to California on ship "Brooklyn".He tried to convince Brigham Young to have the Mormon Pioneers settle in California. Children's Story: Nine year old Agnes was a member of the 1856 Willie Handcart Company. She was blessed by the forethought and preparation of her mother and did not suffer as much as others. Children's Story: Christian was only five when his family traveled to the Valley in 1860. While trying to obtain meat for the rest of the company his father met with a tragic accident, leaving him fatherless. 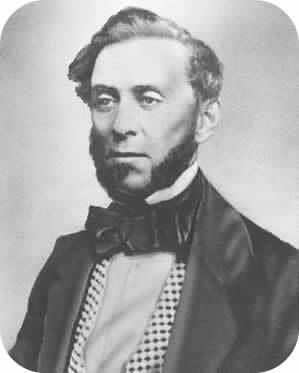 One of the original company, William Clayton served as historian and secretary for the pioneers, keeping a detailed journal of the wagon train's journey. He is most know for coming up with the idea of the odometer which helped the pioneers measure the distance traveled. 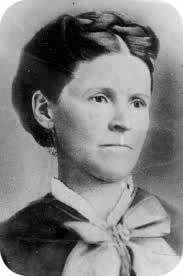 Crossed the plains with her husband (John Calvin Lazell Smith) by covered wagon in 1848 and settled in southern Utah. She once saved an Indian girl's life. Brought his family across the plains in a covered wagon in 1850. Children's Story: Fanny was sixteen when she left England without her mother in 1859. While pushing her handcart west she had a mishap which had surprising results for the rest of the company. 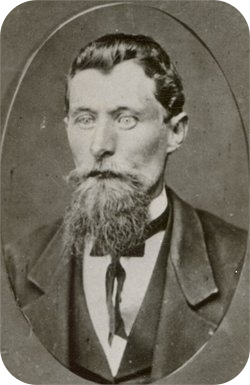 Henry and his family migrated from Australia to Utah in 1853, coming by way of California. Children's Story: Thirteen year old Mary and her family were with the 1856 Hunt Wagon Company which accompanied the Martin Handcart Company. She suffered severe frostbite and would have lost her feet were it not for a miracle. Children's Story: George helped drive a team in 1861 at the age of nineteen. He learned the importance of positive attitude and clear thinking when the captain had to deal with a band of demanding Indians. Six feet tall, weighing 200 pounds with big, sloping shoulders, Heber Chase Kimball crossed the plains 3 times. 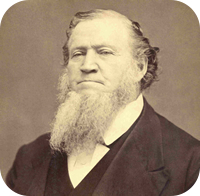 Called as first counselor to Brigham Young in 1847, he served in that calling until his death in 1868. He crossed the plains to Utah and settled in southwestern Utah. He was involved int the controversial Moutain Meadows Massacre. 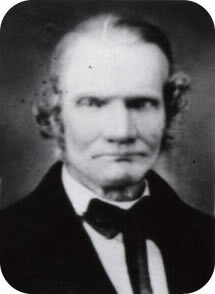 Part of the first company to leave Winter Quarters, Amasa M. Lyman also served 25 years as a member of the Quorum of the Twelve. Children's Story: Margaret was thirteen when she crossed the plains in 1859. She showed responsibility and courage beyond her years as she traveled alone for some time while caring for her four year old brother who was recovering from measles. Children's Story: Mary came to Zion in 1847 at the age of ten. She had creative ways of amusing herself along the way. Came across the plains to the Great Salt Lake valley in 1852. Part of the original company in 1847 that paved the way for the pioneer migration to the Great Salt Lake valley. Children's Story: Edwin was orphaned at the age of eight while his parents were living in Nauvoo. He plotted an escape from his guardian so he could join his sister and her husband who were headed west. He was 13 when he made the journey. Traveled across the plains in the first company. Lead another across in 1848. Children's Story: In 1866, "Harry" was only ten years old when he journeyed to the Valley without his parents. He had many unusual adventures as he coped with life on the plains and attempted to be self-reliant. She crossed the plains in 1847 in the big company. 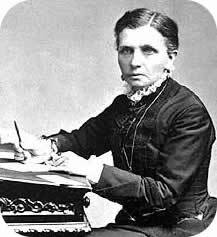 She was a gifted writer and poet, as well as a strong advocate for women. 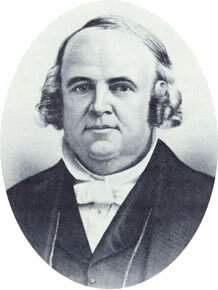 Of the Mormon diaries available to scholars, perhaps there is none which so adequately mirrors the times and locale of the writer and his people over such an extended time as does the diary of Hosea Stout. 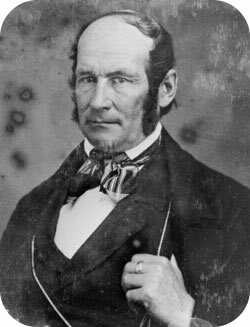 Over various times, he was an officer in the militia, chief of police, attorney general, United States district attorney, and president of the house of the Utah Territorial Legislature. These associations with the highest ecclesiastical and civil authorities permitted Stout to inscribe in his diary conversations and transactions which were outside the knowledge of many diarists. Children's Story: At the age of nine, John traveled west with a handcart company in 1860. He endured hunger and fatigue and experienced a special kind of love from his father. 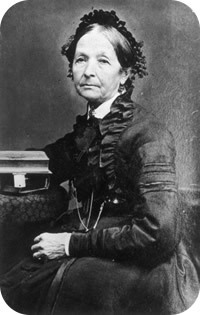 She crossed the plains in 1848 when 19 years old. She was a strong advocate for women. In the original company that entered the Great Salt Lake valley in 1847, and an avid journal writer, Wilford spent more than 30 years as an assistant church historian and served as a president of the church. He organized and led the Mormon pioneers across the plains from Winter Quarters, Nebraska, into the Rocky Mountains to the valley of the Great Salt Lake.